This 7 bowls martingale or 7 bowls rising is also played on simple luck. The principle of the 7 bowls martingale is to play 7 times in a row on the same bet on the same simple luck. The game will always stop when we will be beneficiary. If after 7 strokes we have a total deficit of 3 units, we will play three units over the next seven balls and so on. A poor series, this 7 Bowls martingale as quickly reaches its limits with a runaway fast updates and reaching too quickly put cap. With this martimgale you are more likely to win to lose. 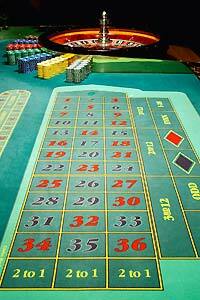 It is therefore a good method of roulette game.